Come and find out Who We Are and What We Do at the fairs and forums we participate in. International Air and Space Show, from 19 to 25 June 2017 at Le Bourget Exhibition Centre. On the agenda for this 52nd edition, a chance to visit the stands of the numerous contributors to the aeronautics and space industry as well as enjoy aerial demonstrations. The exhibition will be open solely to professionals from 19 to 22 June. The fair will be open to the general public from 23 to 25 June 2017. 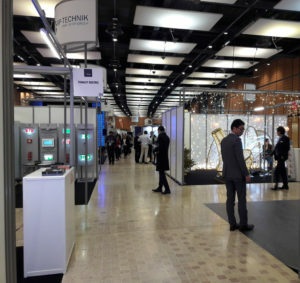 The fair of Lighting Days was takes place from 13 to 14 December 2017 in Lyon, a must event and unique in France, it’s leader in LED technology and lighting, it’s the meeting place 100% light. Cofidur EMS participated in the show as an exhibitor for the Forum LED Europe which brings together the best international LED applications specialists. With 150 exhibitors and 2500 visitors, the show represents for Cofidur EMS the opportunity to show its expertise. As part of our ongoing commitment to the promotion of industrial sector jobs and skills, Cofidur EMS was pleased to attend the 16th edition of Industrielle Attitude which was held from 20 March to 7 April 2017. Visits to our workshops in Laval were organized for young people who are undecided about the professional direction to take as well as for working people wishing to further orient their career path. 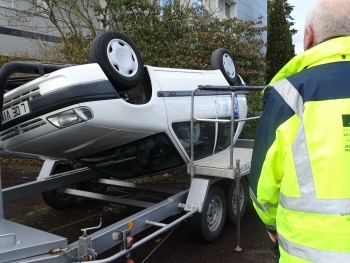 On 16 March 2017 Cofidur EMS accepted an invitation from the Mayenne County Council (Prefecture) to a Road Safety Awareness event. 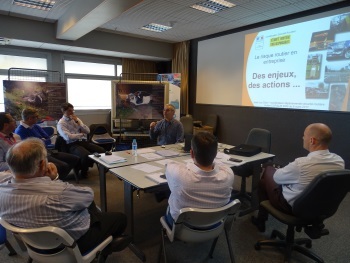 Dominique Besson (Site Manager), Gilles Delaunay (Human Ressources Manager) and Raphaël Perez (Health and Safety Manager) were able to speak in front of representatives of other local companies in the Mayenne about the dedication of the Group to the road safety of our employees. On 6 March Cofidur EMS got the ball rolling at the Laval site with a meeting to increase awareness, which a portion of staff were able to attend. The Group is keen to continue the work that has been begun and has decided that all staff will have access to the awareness programme during the course of 2018. A major player in the field of electronics, Cofidur EMS maintains strong ties with its customers, workforce, service providers and home territory. As a front-runner in new technologies, our Group furthers innovation, competitiveness and performance. Cofidur EMS has a keen wish to deepen its relationship with its partners and to this end held an Open Day on 17 November 2016. 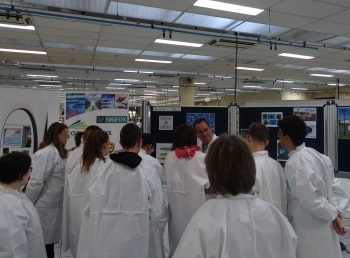 This special event focussing on Innovation, which offered technical conferences and a visit to the factory, was an ideal opportunity to discover the extent of our technological expertise. A broad range of themes covered during the event allowed us to display the diversity of our skills: DFX analysis, PCBs, assembly techniques, automation, card reinforcement and Customer Services/Maintnance in Operational Conditions. All of which demonstrates the will of the Group to evolve towards the Factory of the Future. 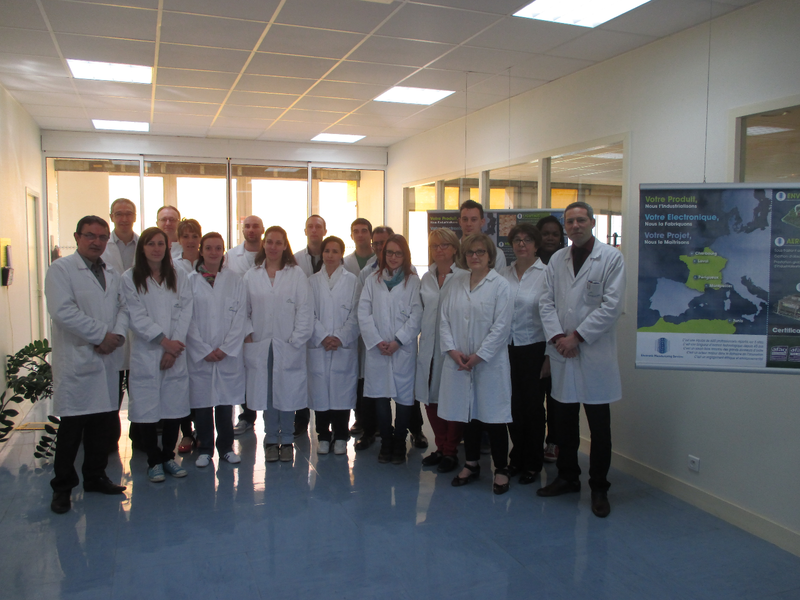 Boulazac: Codifur EMS confirms its robust health. 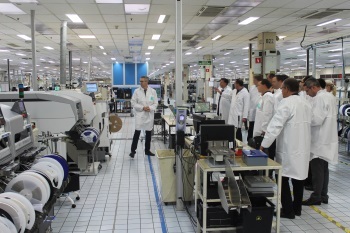 Cofidur EMS’s Boulazac site is the Dordogne department’s largest electronics subcontracting employer, and has long been known for its state-of-the-art technical capabilities. It specialises in producing printed circuit boards, for the aviation, professional services and medical industries, and now also for Toulouse’s leading smart objects manufacturer. The group continues to demonstrate its commitment with a second access to employment contract session starting on its Dordogne site. This scheme is backed by a policy of in-house training and targeted recruitments to enhance the company’s skill set.